When starting your journey into the whole realm of family history, somehow paperwork seems to miraculously multiply around you. I have never quite worked out how it happens, but it does. And if you’re not to this stage of your research yet … expect it!! It will come. 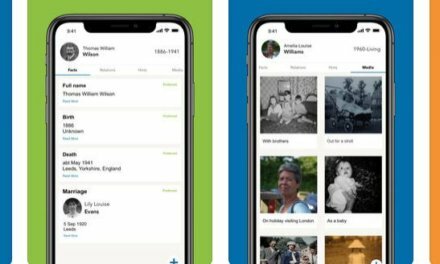 This paperwork is your research, and as such contains, names, dates, notes, mini pedigrees, contact details of distant cousins who might have family photos etc. So all extremely important stuff. But to really make sense of it all, and to keep a track of the info that you already have, you really need to put in into a genealogy program. There’s several things to note when looking for a genealogy program. Choose a program that is right for YOU. They are all a little different, and one may well be better suited to you than another. Recommendations from others are great, but nothing beats being able to try a program out for yourself. So below is a listing of the genealogy software we sell, together with a little about each, the price, and the publisher’s websites . Ancestral Quest (AQ) family tree software is an easy-to-use and versatile genealogy program for Windows. Its format is perfect for the beginner and yet powerful enough for the most advanced genealogist. Easy data entry, keyboard shortcuts, scrapbooking, professional printouts, and excellent sourcing capabilities are just some of this genealogy software program’s wonderful, award-winning features. The publishers offer a fully-functional version for 60 days, which gives you plenty of time to work out if this is the program for you. This is a very different looking program, as it is a person based program, in preference to most which are family based. Apart from that it does have a number of unique features that others don’t, mostly in the way you view information, but also in its ability to view charts on screen. There is a demo available, so have a look at it if you wish. This came out at top choice in the ‘Choice’ Magazine’s genealogy software overviews in 2010. The best known of all programs, this has been around the longest, and is owned by Ancestry.com, the world’s largest genealogy company. For many people it is their program of choice, while others won’t go near it, so it is really a personal opinion. This new 2010 edition has been added to from 2008 total rewrite. There is no demo of FTM, but the publishers have put a slideshow as well as a video tutorial on their website which you can look at. You can download the ‘Standardd’ edition of Legacy for free. This is not a trial or demo version, and can be used for as long as you like. The difference between the standard and the Deluxe editions is that you don’t get the program CD, the printed manual, the licence code and some features have been disabled. The difference between the Deluxe edition, and the Platinum Aus/NZ Edition is that the Aus/NZ one comes with extra data CDs, a 3 month subscription to WorldVitalRecords.com and some gift vouchers. The program in both versions is identical. This is a good quality program that is continually gaining support through new users. Easy to use, and well supported, with good reports and charting capability, this is a good program for those wishing to start adding their family tree data to a genealogy program. There is a free version called ‘RootsMagic Essentials’, which is a functional program, with some features that are in the full program disabled but if nothing else it is an excellent way to assess the program. This is at the top of end of programs, but it is way too much for many in relation to what it can offer. If you’re wanting a nice easy program to use just to add names, dates etc. this program probably isn’t for you. It is so different from the other programs in so many ways, such as visually, its terminology, and its charting capability. The publishers offer a fully functional (allows import, export, printing, saving etc) 30 day trial of the program. After that, the demo is viewable, but not useable. iFamily for Leopard is a relatively new genealogy program specifically for the latest Macintosh with Leopard. It is a genealogy application for people who think differently. There is a demo available, so feel free to have a look. Reunion has been the best Macintosh program available for a long time now, and it continues to holds its place. It is a well-written, well-supported program, and is very easy to use, and does have powerful charting capability. There is a demo available if you wish to try before buying. This is in no way intended to be a comprehensive list of all genealogy software that is currently available, but rather a good range of them. As each of them a little bit different, it is good for you to take the time to work out which program is going to suit you the best. NextCensus, Census and more Censuses!! Wonderful post. I stumbled upon your site and wished to convey that I have really appreciated reading your weblog posts. Anyways I’ll be subscribing to your feed.